Preliminary planning for a District. In this example the participatory process was used to decide upon the objectives, problems, and potential solutions. The participatory process included informal discussions with the communities and formal meetings with decision-makers. Photo 5: Planners, assisted by external experts, identify and analyze the water problems in one of the villages. For the proposed area to be protected, participatory methods were used to define the objectives of the area to be protected, determine the problems and constraints affecting the area and determining the alternative solutions that can be practically implemented. Both formal and informal meetings were used during the participatory process. Participatory planning techniques were used in order to plan the area surrounding the proposed railway station. The participants were requested to determine the main land use problems involved planning the new station location, determining the objectives of the exercise, and appraising the alternatives presented by the planners. Informal discussions were conducted with the people in the area and formal discussions were conducted with the decision-makers. 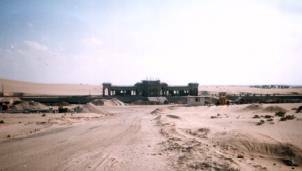 Photo 11: A railway station under construction. The new railway tracks will reach the city soon. Un-planned settlement area: An area within the city has been developed informally and without any planning permission. This unplanned area (often also referred to as squatter settlements) has become so extensive that some form of planning became necessary. Participatory methods were applied to determine the problems that the residents in the area were experiencing. Jointly with the decision makers solutions to the problems were developed during various participatory meetings.